EA's enduring favorite gets a new iOS game that's closer to the Mac editions. The Sims is one of the most popular game franchises of all time, but the life-simulator sandbox has mostly excelled on Mac and PC, along with consoles. Granted, The Sims FreePlay—the mobile version that first launched way back in 2011—has racked up more than 200 million downloads, but many series fans considered it a shell of the fuller premium editions. That’s why this week’s release of The Sims Mobile for iOS (also Android) is such a big deal. 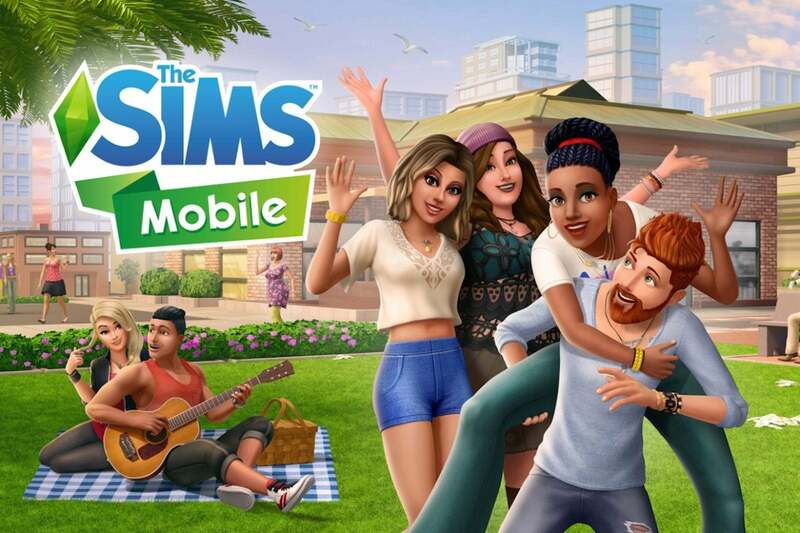 As its title suggests, The Sims Mobile aims to feel more like the classic Sims experience that millions know and love, albeit on your iPhone or iPad. You’ll create a character from scratch, build up your home, take on a career, make friends and create a family, and live out your days one task at a time. Parties let you invite online pals and share the same fun space together. If that sounds awfully mundane, you’re not wrong: The Sims has never been concerned with daring adventure or thrilling excitement, and The Sims Mobile doesn’t deviate from that approach. But it doesn’t have to be a dull routine, and you certainly don’t have to recreate your own real-life situation (whether that’s a good thing or not). The Sims Mobile lets you take on new careers and court unfamiliar partners, as well as gradually build up your dream house and poke and prod characters with the series’ trademark humorous edge. In my early hours playing a pre-release version over the past few days, I created Dominic, a young, immaculately-coiffed guy who is rising through the ranks as a barista. Before long, I added Felicity, who quickly got hired on as a chef despite zero restaurant experience—it takes some liberties with the “simulation” part of the life simulation. Both are building friendships and relationships as I gradually expand their home with new rooms and stuff, and there’s always a list of things for me to do. Felicity is quickly getting a hang of this whole chef thing. And timers, too. While The Sims Mobile looks more like the premium Sims 4 you might’ve played on Mac, it maintains the free-to-play approach of FreePlay. That shouldn’t surprise anyone at this point, since most mobile games—especially those that are ongoing services with regular updates and added content—follow that mold. Electronic Arts is focused on freemium these days, and just like SimCity BuildIt and Madden NFL Football, The Sims Mobile is a free game with limitations and optional opportunities to spend. When Dominic starts a barista shift, for example, it takes four real-world hours to complete—which means he can’t do anything else in the meantime. But The Sims Mobile does give you a unique opportunity to speed things along by manually executing his various barista tasks. You can tap buttons to clean tables, prepare drinks, or chat with customers, and that helps cut down the lengthy wait. It’s a neat twist on the familiar freemium timer: you can let it run down normally while you go about your day, or make things happen faster by actually paying attention to the game. That keeps the timers from feeling quite so annoying or oppressive, and it means you can still play even while a timer ticks down. But there is a cost, as ever: manually competing actions uses up your energy meter, which slowly replenishes or can be refilled by eating a cupcake… and those are in short supply. The Sims Mobile will happily sell you bundles of items and currency for real-world money—as much as $100 at a time for a small heap of SimCash. You can pay to help speed up timers, or buy extra items for your home without gradually saving up funds. It’s a complex web of energy and currency systems alongside timers, much like in SimCity BuildIt. You'll have to contend with freemium limits... and optional premium in-game purchases. If you’re patient, however, and can appreciate a freemium game at its own speed, then you can probably enjoy The Sims Mobile without spending a penny. There are daily rewards for playing, for example, as well as optional video ads to watch here and there to boost your bonuses. Over the long haul, playing within the limits could turn tedious, but that’s no different from most free-to-play games. And the game does seem to offer quite a bit of incentive to stick around, including the ability to create multi-generational families as you raise children over time. At first blush, The Sims Mobile does feel quite a bit like the classic Sims experience, albeit with a bit less sandbox freedom and more emphasis on completing bit-by-bit tasks. But as an on-the-go rendition that you might pop into for a few minutes at a time, it effectively recreates the much-loved life simulation on a smaller scale. If you can tolerate the expected freemium restrictions, then there’s enough wiggle room here to keep The Sims Mobile from feeling like a pay-to-enjoy grind, at least early on.